Stevia rebaudiana is a small shrub native to Northeastern Paraguay. The native Indians appear to have used it as a sweetener since pre-Columbian times, but it was not known to the rest of the world until 1887 when a South American scientist named Antonio Bertoni first "discovered "it. Stevia contains a complex molecule called Stevioside, a glycoside made up of glucose, sophorise, and steviol. Therein lies its sweetness. The fresh plant leaves are 10 to 15 times sweeter than sugar. The extract form of Steviosides can be 100 to 300 times sweeter than sugar. According to most experts, this plant sugar does not affect blood sugar metabolism. Today it is grown and used around the world. It has been studied for its potential beneficial effects on diabetics. It has been shown to retard the growth of plaque in the mouth. The FDA has been ambiguous in its statements on safety, approving its import as a dietary supplement, but not as a sweetener or flavoring. Nonetheless, it has been used widely in Japan since the late '60s when certain artificial sweeteners were banned because of their potential health risks. Stevia has virtually no calories. 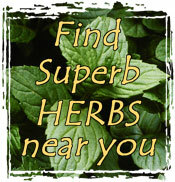 Raw herbal stevia contains some phytonutrients, but in quantities typically consumed, nutritive benefits are negligible. Some studies show that Stevioside is both fluoride compatible and "significantly" inhibits the development of plaque. Natural food stores usually have stevia powder. To sweeten tea and coffee. It can also replace sugar or honey in most beverages. It does not break down when heated, so it can be used in baking and cooking. It is a flavor enhancer as well as a sweetener. It helps bring out the true flavors in cereals, breads, juices, berries, sherbets, candies, yogurt, ice cream, chewing gum, pickles, toothpaste and mouthwash. Start the blender with oil. Gradually add in sesame seeds. Push seeds down under the blades. Add Stevia and vanilla and mix until smooth. Divide mix into 3 bowls. Add peanut butter to one, carob to the second, and leave the 3rd plain. Shape into balls. Yields 1 ½ dozen. Shake in a jar and you are ready to brush. Make into a paste by stirring in several ounces of vegetable glycerine and flavor with peppermint oil or powder. Myrrh oil may be added to increase the astringent and bacteriocidal properties of the paste. Combine first 4 ingredients and mix well. Gradually add the rest of the ingredients in order. Divide into cookies and bake 10 minutes at 375°F. Texture will be different from other cookies but if eaten warm, they are delicious. Substitute raisins for chocolate chips for a breakfast treat. .